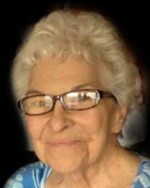 Elizabeth Williams Obituary - Scranton, Pennsylvania | Solfanelli-Fiorillo Funeral Home Inc.
Elizabeth “Betty” Williams Entered into eternal rest on January 10, 2019 surrounded by her three children, Rose Marzani, Mary McHugh and Dan Williams. Also surviving are a son-in-law, Matt Marzani, and two grandchildren, Matthew and Nathan. Her parents, Daniel and Josephine McClymer, along with her brother, Jim McClymer preceded her in death. A Blessing service will be conducted Thursday, January 16th at 6:00 pm in the Solfanelli-Fiorillo Funeral Home Inc. 1030 N. Main Ave. Family and friends may pay their respects from 4:00 p.m. until 6:00. In lieu of flowers, memorial contributions may be made to the Jewish Home of Eastern Pa., 1101 Vine St. Scranton, Pa. 18510. Please visit the funeral home website for information or to send an online condolence.